What is it about the ‘F’ word that we hate? The word failure is seeped with emotions, stress, memories which can trigger so many responses from us – one of them is flee! 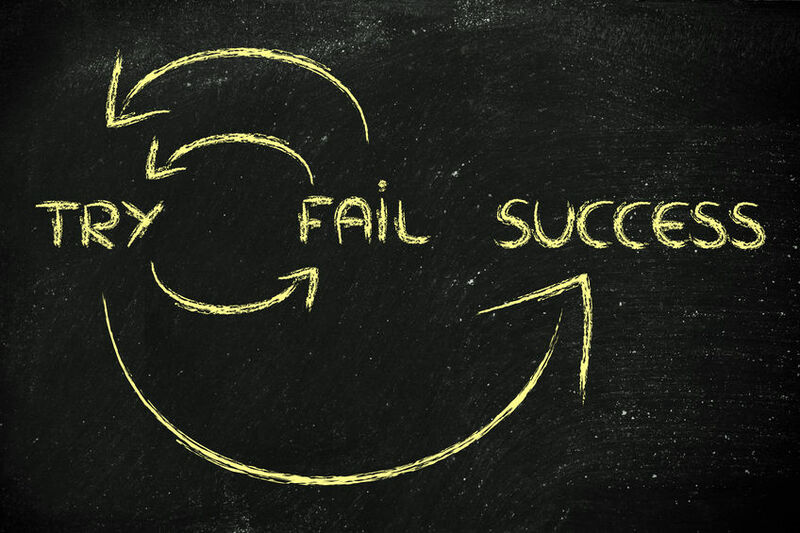 Yes, we flee from potential failure, but why? Just the mere thought of failing can bring about so many feelings within us of our own inabilities, inadequacies, that we want to avoid at all costs. And yet failure whilst difficult, you could argue is a definite, a certainty isn’t it? Failure involves us stepping outside our comfort zone, doing things we don’t feel totally confident in doing, taking risks whether large or small. We avoid facing or taking these risks because we fear failure. And yet, we know that taking risks will by default, regardless of whether we succeed or fail, help us grow in confidence. With the ‘at least we tried’ mentality! As parents we tell this to our kids all the time, telling them “you can do it” and yet who tells us we can do it, who has faith in us? Is the ‘fail’ or perceived ‘fail’ bigger or riskier just because we are older and an adult, with the ‘should have known better’ syndrome looming over us! We know we are our own worst enemies, our own worst critics, and so we talk ourselves out of doing anything new for fear of failure. But to grow failure is inevitable! What can we do to deal with the ‘F’ word and get over our ‘fear of failure’? Feeding ourselves positive messages – Instead of convincing ourselves we are going to fail or make a fool of ourselves, why don’t we instead do what we would do with others, tell ourselves ‘we CAN do it!’ Focusing on these positive messages will help us see the benefits and the advantages of learning to grow and taking chances. Dealing with our emotions – When our emotions are trying to get the better of us, our nerves are stretched to capacity, we are feeling stressed and every nerve in our body is screaming at us, we can instead focus on our inner strength, by just closing our eyes, taking deep breaths, imaging everything will be fine, imagining we have succeeded and all will be okay. Perhaps you can use this as your focus this week and be aware of avoiding the ‘F’ word!